Door Times:The Newport Hotel: 7:00pmMetropolis Fremantle: 8:00pmBrisbane live favourites Ball Park Music will return to WA for a very special show in Fremantle on Sunday, 2 June, as part of their national GOOD GOOD MOOD tour.The triple j darlings will be supported by a raft of blossoming Australian talent, including Alice Ivy, Tia Gostelow and Mosquito Coast, as well as local foursome Spacey Jane, who have just been added to the line-up. This homegrown musical smorgasbord will take place across two stages at Metropolis Fremantle and the Newport Hotel.2018 was a tremendous year for Ball Park Music. Their fifth record GOOD MOOD debuted at #6 on the ARIA chart and received three ARIA Award nominations for Best Cover Art, Best Producer and Best Engineer. triple j listeners voted it their #1 album of 2018 in triple j’s Album Poll. The euphoric single Exactly How You Are landed at #18 on triple j’s Hottest 100 of 2017 and The Perfect Life Does Not Exist came in at #39 on Hottest 100 of 2018.Last year, Ball Park Music performed at Party in the Paddock, Groovin’ The Moo and Splendour In The Grass festivals as well as their own national headline tour. Their national tour with San Cisco saw them play the biggest venues of their career, taking on Brisbane’s Riverstage, Sydney’s Big Top, Fremantle Arts Centre and selling out Melbourne’s Festival Hall. 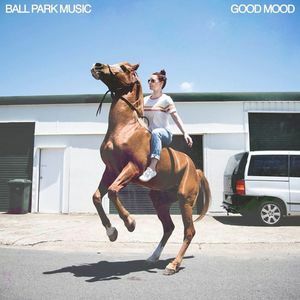 Already in 2019, Ball Park Music have performed at Beyond The Valley, Lost Paradise and the 2019 Australian Open.The GOOD GOOD MOOD tour sees Ball Park Music – aka Sam Cromack (guitar/vocals), Jennifer Boyce (bass/backing vocals), Paul Furness (keys/trombone) and twins Dean Hanson (guitar/backing vocals) and Daniel Hanson (drums/backing vocals) – take their latest album GOOD MOOD and tried-and true-fan favourites to cities and regional towns across Australia.“For years we’ve been wanting to do another extensive regional tour in Australia,” says frontman Sam Cromack.“It’s not always the easiest or most practical journey for bands to reach out beyond the metro areas,” he continues.“But for us it’s hugely important to take our music to every nook and cranny of this big hot island. Absolutely buzzing for some long drives, idyllic swims, weird over-sized monuments and cooked hecklers. Bring it on!”Don’t miss Ball Park Music’s unforgettable live show when it hits Fremantle over the WA Day long weekend.